In the first part of this guide we covered the components of a balanced diet and looked at the different types of cat food available. In this part you’ll find out what the differences between wet and dry foods are and if one is best to feed you cat. You’ll also discover why cats can become aggressive over food, what ingredients you should look for in cat food and our recommendations on good feeding guidelines. If you haven’t read part one yet, you can find it here. With semi-moist foods eliminated as an everyday dish, your options come down to dry and/or wet cat food. 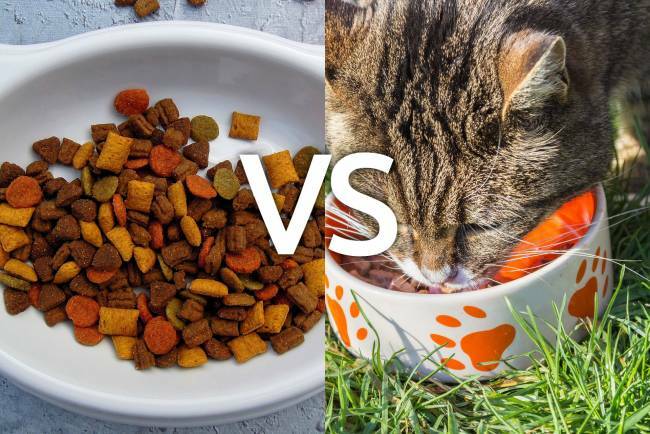 Dry food is easy on your pocket, convenient to serve, and good for a cat’s dental health yet is the least favoured option by cats and has also been linked to kidney problems. Cats have a naturally low thirst drive and as such rely on their diets for hydration. According to experts, cats need about 3 to 4 ounces of water per 5 pounds of total body weight and a huge percentage of this (over 50%) is obtained from their food. 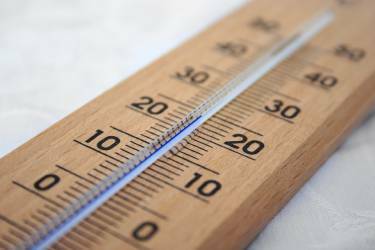 With dry food, this need is not properly met and that can lead to dehydration, which in turn may put a strain on the kidneys and consequently bring about renal failure or urinary tract infections. Wet food in turn is healthy & delicious on one hand, and expensive, hard on the teeth, not to mention highly addictive on the other. 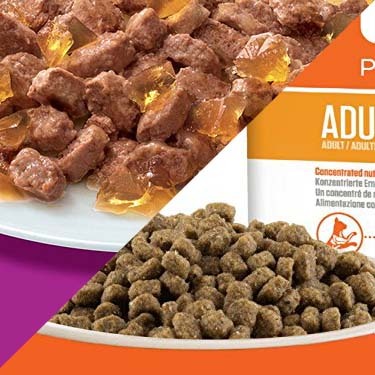 Since each option has its own pros and cons, the wise thing to do is to mix up your cat’s diet to include both. This way, you will balance out the downsides of both options and therefore end up with a happy and healthy cat. That is unless your veterinary orders otherwise. For instance, a cat with a urinary tract infection can be put on a wet food diet until they get back to tip top shape. 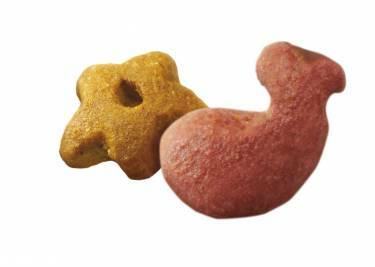 Knowing what the appropriate cat diet is and having knowledge of the different cat foods is one thing, but purchasing the best food for your pet is another. Cat foods come in varying qualities so you need to pay closer attention to what you are buying. This means reading through all the details on the label including the available ingredients. A bit of diligence will let you know which of the furry family the food is suitable for and you will get an idea of the level of quality. 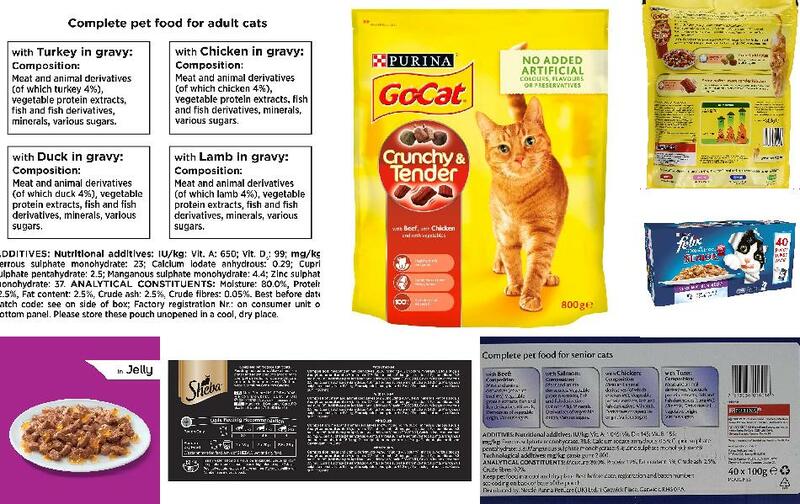 Possible labels can include statements like ‘complete & balanced nutrition’, ‘weight management’, ‘kitten formula’, ‘grain free’, or ‘indoor adult cat’. For ingredients, the very first one you want to see is animal-based protein and not meat by-products or other sources of protein. Some brands are guilty of bombarding their foods with by products such as salmon meal, beef tallow, and animal digest, or things like corn, grains, soybean meal, and only offering a small percentage of animal protein. While these sources of protein may be able to cater to a cat’s daily energy requirements, they are not the protein that cats need. A high quality cat food will offer meat as the main source of protein. You should also look for a mix of vitamins, minerals, and fats in cat food to ensure a balanced diet. Foods high in carbohydrates must be avoided as cats have trouble digesting a high-carb diet. Other edibles not to feed your cat include chocolate, raisins, grapes, onions, garlic, chives, yeast dough, alcohol, or caffeinated beverages. 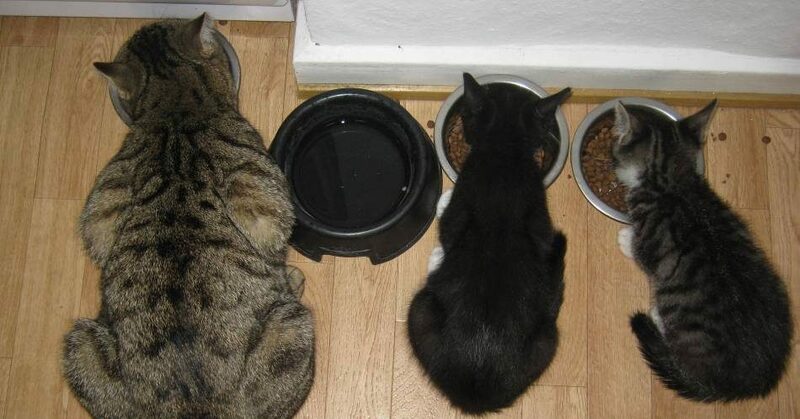 There is no such thing as a one-size-fits-all diet when it comes to cats. Every cat is different and will have a preference for certain foods, flavours, or even textures. Also, what works for kittens may not be suitable for adult cats. Sick, pregnant, and malnourished cats also need an entirely different diet from a healthy feline. So, to help you formulate a good feeding plan for your specific cat, here are a few guidelines you can follow for healthy feeding. Age is the very first thing you should consider when determining a diet plan for your cat. Cats have different nutritional requirements throughout their 3 stages of life. 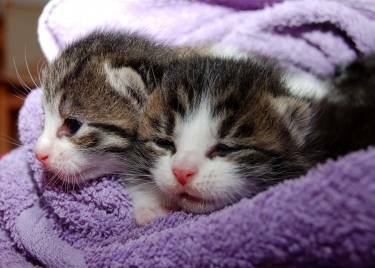 Kittens are at a point where bones, muscles, joints, and teeth are developing. To ensure proper growth a diet that is rich in protein, fat, and nutrients is necessary. Meals should also be more of the wet variety as the digestive system is not quite developed yet. Kittens are also playful and highly active and therefore need to eat often (3-4 times a day) to keep up with their energy requirements. Adult cats are the least demanding. They only require one third of what kittens eat. A high quality balance meal served 2 times a day will be enough to sustain a happy and healthy fully-grown cat. As for senior and/or special needs cats, it is best to consult your vet on the proper diet. Like humans, a cat will get bored with eating the same thing day in day out. Therefore, in addition to alternating between dry and wet foods, it is also good to mix things up. Serving a variety of foods will help build a healthy appetite and prevent your cat from developing allergies or becoming addicted to a specific food to the point of refusing any other dish. Treats are good everyone once in a while. But it can be easy to go overboard. A piece of leftover chicken, a few licks of milk, or other treats every once in a while is okay. At the very most, treats should only make up around 10% of daily calorie intake. But, if you shower an adult cat with treats all the time, they are likely to become overweight. Instead of overdoing it with food treats, go for toys or schedule some time to play and cuddle with your little furry friend. They will enjoy this as much as food while getting some exercise at the same time. For cats, part of the thrill of a hunt is enjoying the warm meat of caught prey. So serving mildly warm food can make it more attractive to a cat. Part of ensuring proper nutrition and health for your cat is putting out a bowl of fresh clean drinking water every day. The recommended amount is one cup for every 10 pounds of weight for cats on a dry diet and a third of that for felines on a wet diet. It is advisable to stick to bottled or distilled water since cats cannot process chlorinated water. Most people do not know this, but cats are very hygienic creatures that like their food, water, and litter box separate. Putting these things together may resort in your cat refusing to eat or being forced to look for another place to excrete – maybe your sofa or precious living room rug! Cats are obligate carnivores. Good nutrition for a cat is a team effort with protein leading the charge with vitamins, minerals, and fats following suit. Buying quality cat food is all about paying more attention to what is on the label rather than shopping by brand or popularity. Lastly, including both dry and wet cat food in your feline’s diet is better overall than just sticking to one type of food. If you remember this and follow the recommended feeding guidelines, you will get to enjoy the reward of a well-adjusted cat that is not only healthy but also in high spirits all the time. What is Cat Food Aggression? Another benefit of employing good nutrition is that you will get to avoid aggression during mealtimes, especially if you have a house littered with kittens. 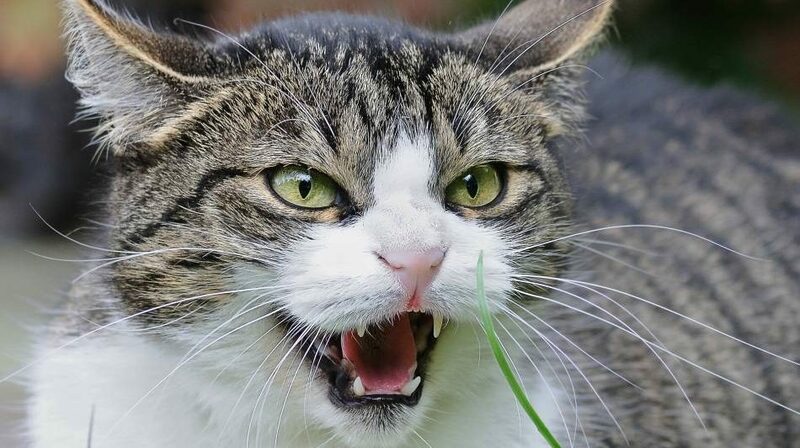 Better known as ‘cat food aggression’, this is a situation where a cat gets territorial or feral over food. Cat food aggression is common in kittens who were separated too early from their mothers, abandoned or traumatized at a young age. It can also be caused by an underlying medical issue, so have a vet come over if your snugly kitten suddenly goes crazy over food. Signs of food aggression include guarding food bowls or the room where they are stored, hissing or growling while eating, going on the attack whenever food is served, and bullying other cats away from their food. It may even get to the point where a cat breaks into your cupboards to forage for food or worse, jumps onto the dinner table and steals food right out off your plate. The best way to stop food aggression is to ensure your cat is getting balanced meals every day at scheduled times in portions that are generous but not too much. Separating the cats during mealtimes by serving food in separate bowls for each one also helps. Getting the cats to bond is another trick you can use to tame food aggression. As long as they are friends, they will gladly share food. Therefore, schedule regular play dates and offer praise or tasty treats when everyone plays fair. The big brands continue to create more and more types of cat food – for different ages, weights and even lifestyles. It is no wonder we can be left feeling a little disoriented and unsure of the best way to care for our moggies. But, care we do. Because anyone who has ever has the pleasure of a cat in their home will know just how enchanting and endearing they can be. They may not always return the affection in spades, but when they do it is all the more rewarding (there’s nothing quite like waking up to a cat jumping on your bed and purring in your face!). In this guide we hope we distilled the plethora of information into an easy to digest guide that’s useful and easy to follow.